Hichki was one of the most loved films of the first half of the year, which did not only impressed critics but also ended up minting loads of money for the makers. After taking a long maternity break from films, Rani Mukerji made a comeback with the Siddharth P Malhotra directorial and proved her mettle once again. 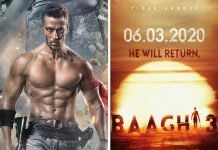 Of late, there have been a lot of rumours suggesting that the makers at Yash Raj Films are planning a sequel to the successful film. However, when director Siddharth P Malhotra was contacted for a confirmation, he denied the news. “There are no plans for the sequel. So, I am very clear she (Rani Mukerji) is doing Mardaani 2 and I am doing a different film right now. It’s a human relationship based film, and besides that, there is no Hichki 2,” said Malhotra. The director went on to add that he would like to collaborate with both Rani Mukerji and Kajol once again in the future. “I would love to collaborate with both Rani and Kajol — it will be fun. Kajol is one of my closest friends and Rani has become a very dear friend to me,” he added. Siddharth P Malhotra directed Kajol in the 2010 film We Are Family, also starring Kareena Kapoor Khan and Arjun Rampal in the principal cast.